We can boast five star facilities, hotel venues with golf and leisure facilities and a level of service that you’d expect from an area renowned for its warm, friendly people. Overlooking the famous 200 acre Stray parkland, this historic grade 11 listed building dates back to 1671 and has been carefully restored to the grandeur of yesteryear. Many of the original features remain, yet the hotel has been tastefully restored with a stylish mix co-coordinating both old and new. In an unrivalled and spectacular setting, opposite York Minster, this boutique-style 4-Star hotel is within a minute's walk of the city walls and close to all York's famous attractions and eclectic shops. The Restaurant, D.C.H has AA rosette-awards plus there is an informal and cosy Café-Bistro. Victorian manor venue in 150 acre grounds (with golf course) offering stylish and characterful options for corporate conferences, training courses and golfing incentives. One of the largest, AA 4-stars independent and purpose built Conference and Banqueting venues in the North, Cedar Court Hotel Leeds - Bradford is ideally located right at the heart of the M1/M62 motorway network. Ideally located just minutes from J24 off the M62 Huddersfield's only four star hotel encapsulates the warmth and hospitality of Yorkshire and welcomes you with friendly staff and wonderful amenities. Ideally located just minutes from junction 39, M1, this well established family owned hotel encapsulates the warmth and hospitality of Yorkshire. Our four star hotel has extensive business and banqueting facilities, the hotel can accommodate every type of event from small business meetings to large social gatherings. The Copthorne Hotel Sheffield has a supreme location, as it is located next to Sheffield United Football Club's stadium. This spacious, 158 room Sheffield hotel brings the latest high quality facilities and services to the heart of the city. Popular amongst leisure and business guests, the hotel has a range of facilities, including: full disabled access, a well equipped fitness room, complimentary wifi access in public areas, a plenitude free on-site parking for hotel guests and multi functional conference and banqueting suites accommodating as many as 400 guests. Country Inn with function rooms. 10 en-suite 4 star rooms with parking on site. The perfect contemporary backdrop for all your meeting and event needs, with listed architectural features, cliff top location overlooking Castle and Harbour. The hotel offers 115 en-suite bedrooms, 10 event suites, Restaurant & Café Bar, exclusive Health Club and Spa facilities & complimentary WIFI. We happily cater for small to large events of up to 260 guests. Dunsley Hall is set in the quiet hamlet of Dunsley in 4 acres of landscaped gardens, was once the country home of the charismatic Frederick Haigh Pyman. Now a 24 bedroom hotel this discreet venue has uninterrupted views of the countryside and Sandsend beach. Successfully combining the traditional charm of a Victorian country house with modern day comfort and style, Gisborough Hall Hotel is the perfect venue for your next big event or celebration. Boasting elegant function rooms with space for up to 400 guests. Located in the Town Centre we overlook the South Bay and Harbour. Offering several function rooms catering from small meetings to larger events. Situated just outside Hull city centre with breathtaking views of the Yorkshire Wolds and Humber Bridge, Hallmark Hull is the perfect location for both business and leisure guests. Hellaby Hall Hotel conveniently located near Sheffield and Rotherham offers guests the combination of a beautiful location, striking architecture and modern facilities. This 17th Century Manor House sensitively converted into a striking Four Star hotel, is ideally situated just off J1 of the M18 and within easy reach of all local amenities, making it the perfect destination for business or pleasure. A warm welcome will await you at Hinsley Hall. 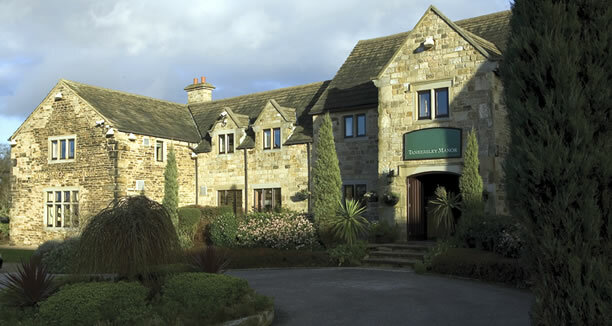 Set in tranquil grounds only 2.5 miles from Leeds City centre it offers a comfortable cost-effective venue for all. With 50 en-suite bedrooms, ample free car parking, well appointed meeting rooms all with natural daylight and modern AV equipment, free wi-fi, well stocked bar, good food and hospitality. Holdsworth House Hotel & Restaurant is a Jacobean manor set in beautiful grounds, just 3 miles form Halifax centre and less than 10 miles from Bradford, Huddersfield and the M62. With 39 bedrooms, four function rooms for up to 120 guests and grounds for team building, there is nowhere else like it. Created from a row of eight Georgian-styled houses that have been used as a hotel since the 1930s, Hotel du Vin Harrogate features 48 bedrooms and airy loft suites. Located close to the town centre, the hotel overlooks The Stray, a magnificent 200-acre common, and offers a billiards room, cellar snug, Spa du Vin with its extensive range of treatments and alfresco dining in the courtyard during the summer months. Lady Anne Middleton's Hotel in York is nestled in a secluded English courtyard garden just minutes walk from the historical city centre. A perfect location for your sightseeing, business trip and conferences or for your Big Wedding Day, Lady Anne's caters for all occasions with its enviable facilities and beautiful setting. Hollins Hall is the rural gateway to traditional Yorkshire hospitality. At the heart of the hotel is a Victorian house built in 1878. The hall still remains to be a focal point of the hotel, providing dining facilities in the original drawing rooms, together with conference facilities. The Mercure York is the place to meet. Comprising of 7 flexible conference rooms suitable for holding discreet boardroom meetings or conferences for upto 180 delegates. The Lodge offers privacy and luxury in equal measure. With spectacular views across private parkland and the Vale of Mowbray, we provide a unique setting for those looking to take work to a different kind of home. This 18th century mansion features breathtaking grounds with service to match. Oulton Hall has been painstakingly restored to its original splendour and the hotel facilities boast 9 stunning Meeting Rooms. Impressively situatied overlooking Peasholm Park, Park Manor Hotel with its 41 ensuite bedrooms, private car park, indoor pool, spa, steam room, games room and complimentary wifi is an ideal place to stay whether attending an in-house or national conference. Luxurious country house Raithwaite Hall offers a choice of meeting spaces and accommodation choices whilst maintain its superior level of service and reputation for luxury. The Rendezvous is unusual in providing the style and comfort of a modern international hotel including spacious lounges and bedrooms, with the added bonus that it is situated just 1 mile from the centre of Skipton on the edge of the Dales. It remains independently owned and run - with an emphasis on providing it's guests with a unique brand of Yorkshire Hospitality. Rudding Park, Harrogate, sits in 300 acres of parkland and incorporates everything for a successful corporate event. The fifteen conference rooms have natural daylight, many with floor to ceiling windows overlooking magnificent parkland. A full range of corporate activities can be arranged. The 90 bedroom hotel features a spa, gym, cinema, 18 hole golf course, 6 hole course and Golf Academy. Well situated on Whitby's West Cliff, the comfort and hospitality of the Saxonville hotel can be found just a few minutes stroll from the narrow streets and winding alleyways of this delightful historic town. Close to the North York Moors and Captain cook Country makes us an ideal base for exploring the area on foot,cycle or by car. St George Hotel, central in Harrogate. Superb venue choice whatever the Event. 6 Meeting Rooms with Edwardian Style able to accommodate the smallest meetings with just 2, to larger meetings to 220. 85 Bedrooms and on-site leisure facilities, perfect for Residential Conferences. The Chambers Park Place has 3 meeting and event spaces, located in the heart of Leeds. The Maurice Paynel Suite can hold 75 delegates theatre style or 28 boardroom style, and comes equipped with facilities to host every type of meeting. The Coniston is a very accessible 4 star venue situated on the A65 between Skipton and Settle. Set in a 1,400 acre estate, its hosts a wide range of activities which compliment all types of corporate meetings, events and team building days. The Downe Arms Country Inn**** is situated on the edge of the magnificent North Yorkshire Moors and forms part of the Dawnay Estates. For your conference or meeting we can offer you a relaxed atmosphere with excellent facilities. The George & Dragon Hotel is a privately owned and run small hotel located in a pretty market town at the edge of the North Yorkshire moors, with meeting room. This famous 17th century Coaching Inn is situated between the Yorkshire Moors and Dales National Parks and overlooks the cobbled market place in Thirsk. The hotel has a range of 26 individually designed en suite rooms, food is home cooked using local produce and the service is relaxed and friendly. The Holiday Inn York is located in a quiet suburb just minutes from York racecourse, the train station and the historic city centre. Comfortable, modern bedrooms and fully equipped accessible rooms all fully air-conditioned. The Old Swan is one of Harrogate's finest Victorian hotels, situated a short walk from the centre of town and the Harrogate International Centre. There are 10 individual meeting rooms accommodating meetings and events from 2 to 400 delegates and adequate outdoor space for team building activities held on their lawns and gardens. Located adjacent to York Rail Station, The Royal York Hotel is the perfect choice for hosting conference and events. The Shibden Mill Inn combines the history and charm of a 17th Century property with the modern day requirements of the business world. The tranquil setting of the Inn adds a certain special ingredient to make your reason for coming all the more successful. Attentive staff and a selection of delegate packages ensure your requirements are fulfilled and expectations exceeded. We can offer excellent training and meeting rooms facilities in a private location with ample parking and good road links to the major motorways. The facility comprises the following: *Dedicated IT Training Suite for up to 6 delegates. Theatre facility to seat up to 50 delegates. Conference and syndicate rooms. 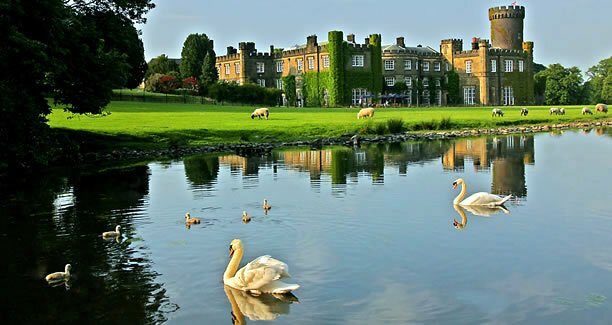 Welcome to Waterton Park Hotel and Walton Hall, a 4 star hotel in a scenic setting of rolling parkland with its own lake, a backdrop of ancient woodland and a championship golf course. This is the perfect place in which to relax, to use as a base for sight-seeing, to come for business or to hold the perfect wedding reception. Wentbridge House dates from 1700 and is set in 20 acres of gardens and grounds in the beautiful Went Valley. Steeped in history and surrounded by century-old trees, Wentbridge House is a hidden gem and provides a relaxed and peaceful setting within easy reach of Doncaster, Wakefield, Leeds, York and Pontefract. 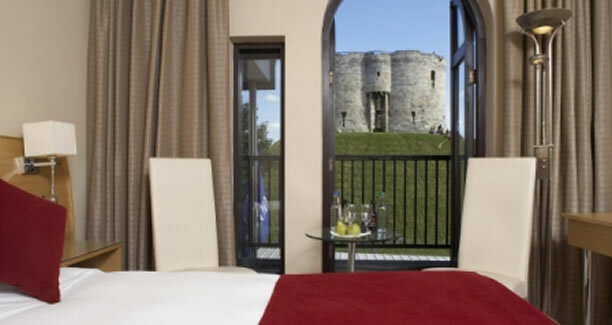 Overlooking the historic York Racecourse, the York Marriott Hotel is within walking distance of York city centre and its many attractions and features 151 stylish guest bedrooms, ideal for the Business or Social traveller. We offer a range of banqueting rooms holding up to 190 delegates theatre style.